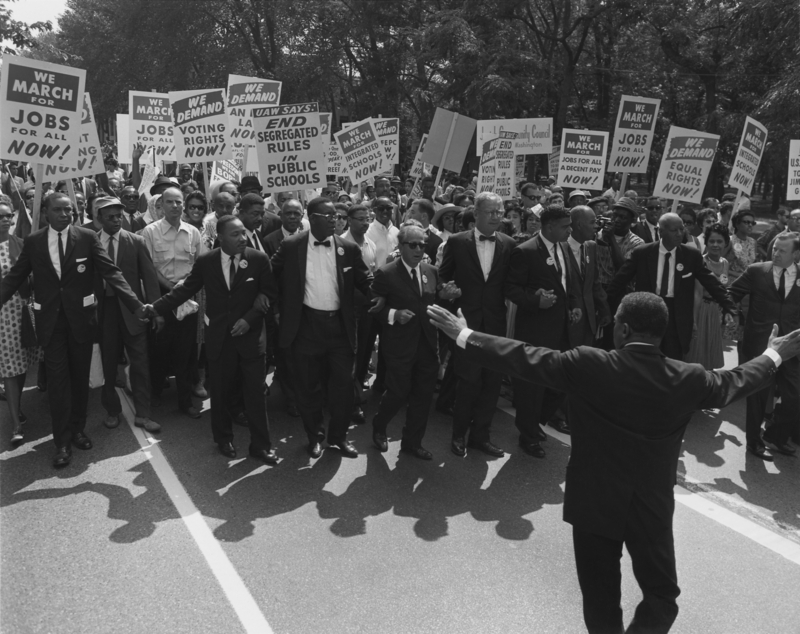 On August 28, citizens from across the country will converge on our nation’s capital to commemorate the 50th anniversary of the historic March on Washington for Jobs and Freedom. President Obama will honor the anniversary of the famous civil rights march by speaking from the steps of the Lincoln Memorial, the same place that Rev. Martin Luther King, Jr. delivered his “I Have a Dream” speech. Dr. William L. Rosenberg is a professor of political science and director of the Drexel University Survey Research Center. He is an expert on political communications and public opinion. He is interested in how political messages, often related to race, social justice and politics are communicated to various publics and the impact of these communications on society in terms of election campaigns and political movements. Dr. Donald Tibbs, associate professor of law, focuses on the overlapping issues of race, law, civil rights and criminal procedure. He is the author of From Black Power to Prison Power: The Making of Jones v. North Carolina Prisoners’ Labor Union (Palgrave MacMillan 2012). Dr. Kevin Woodson is an assistant professor of law whose scholarship focuses on race and the legal profession and corporate culture. He is also interested in issues of civil rights law. Woodson received his doctorate in sociology from Princeton University, and his J.D. from Yale Law School. For interviews, contact Alex McKechnie at ahm62@drexel.edu or 401-651-7550. I think you also need to address the fact that prisons in the US are ‘good business’ and that seems to be one of the main reasons why the US has such a large prison population as against other ‘civilized’ nations who, despite (much) lower inmate counts per capita still have far lower crime rates as well. Which makes even less sense if the nation with the highest prison population also is deemed the ‘richest*’ of them all. There is something amiss and everyone would have expected the first colored president to take initiative on that issue.